I've removed the botanicals (several tiny alder cones and 4 or 5 tiny Indian Almond Leaves) and am slowly water changing he blackwater out of my 9 Gallon (16" diameter, 14" high) bowl. 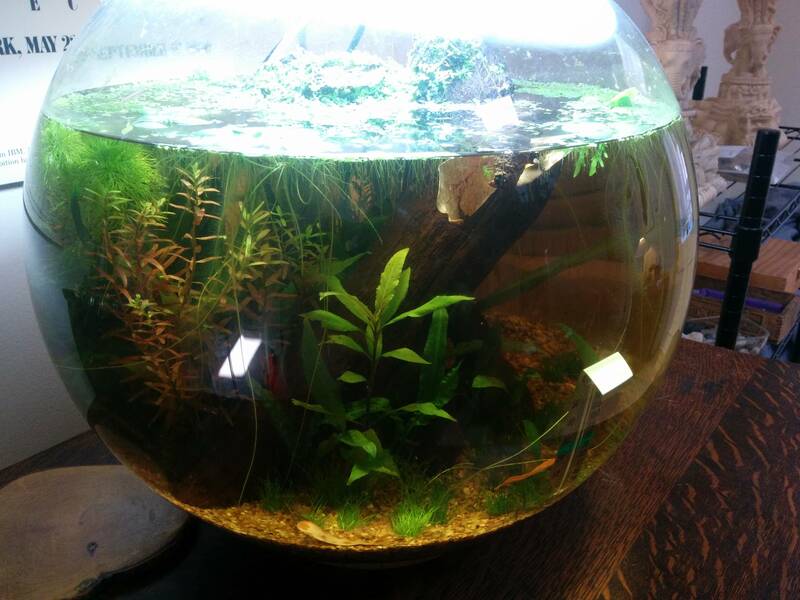 Originally was going to house a Betta, but for this one I'd prefer *relatively* clear (will leave one or 2 pods or IA leaves in) water for nano community fishes who can thrive in about 7 or 8 gallons of water. A Badis Badis? Chilli rasboras? Embers? Endlers? White Cloud Minnows? Honestly, shrimp have about the smallest footprint I have ever seen... They would love it in there. Perhaps a couple dwarf Gorami? I was thinking of Sparkling Gouramis - what would be a peaceful option, male/female? male and 2 or 3 females?